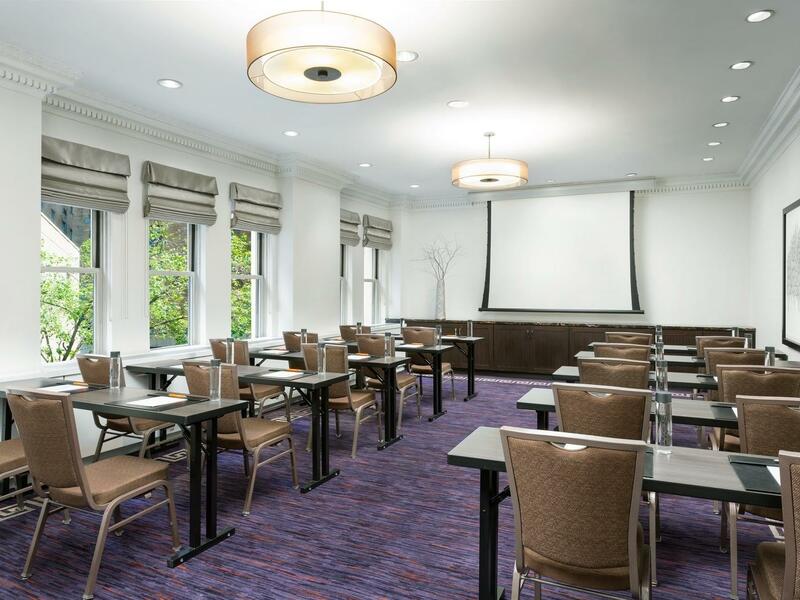 Set the perfect stage in The Lexington Hotel, Autograph Collection’s newly redesigned meeting spaces. From high-powered strategic planning sessions and specialized training classes to intimate corporate retreats and casual board meetings, we do business with the best. World-class amenities, boutique guest rooms and polished services complement our modern feel and strike a perfect chord for success. 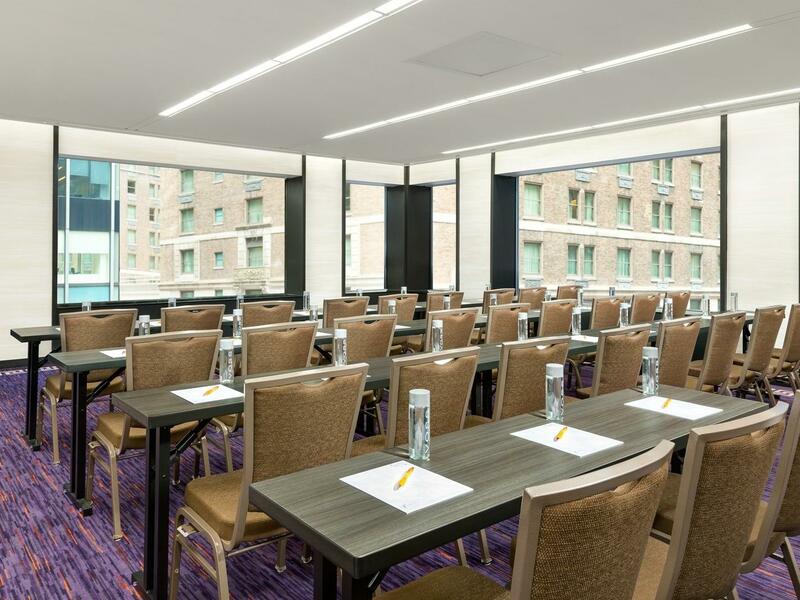 Conveniently situated just blocks from NYC’s Grand Central Terminal, the United Nations, the Chrysler Building, Rockefeller Center and Times Square, our meeting rooms and conference spaces on the East Side of Midtown Manhattan are some of the most sought-after in the city. Our friendly concierge team is ready to assist with any requests — from transportation to an airport or local attraction to tickets to a Broadway show or dinner reservations to a popular restaurant. Presentations will sing and productivity will soar in our unique venues offering bountiful natural light from large windows to inspire and motivate. All rooms feature state-of-the-art technology, complimentary high-speed WiFi and audiovisual equipment including built-in LCD projectors, screens and sound system. Our talented in-house planning support and customizable catering menus will both inspire and satisfy. 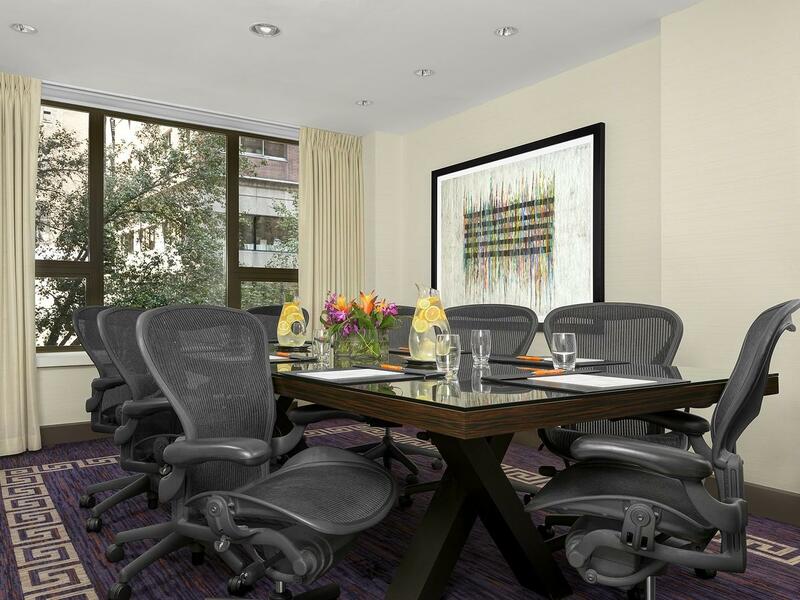 Enhance creativity in our newly renovated event rooms — including two pre-set boardrooms — where young virtuosos and seasoned professionals can seamlessly coexist in style and comfort. The Speakeasy provides a breath of fresh air, making any event far more than just business as usual. 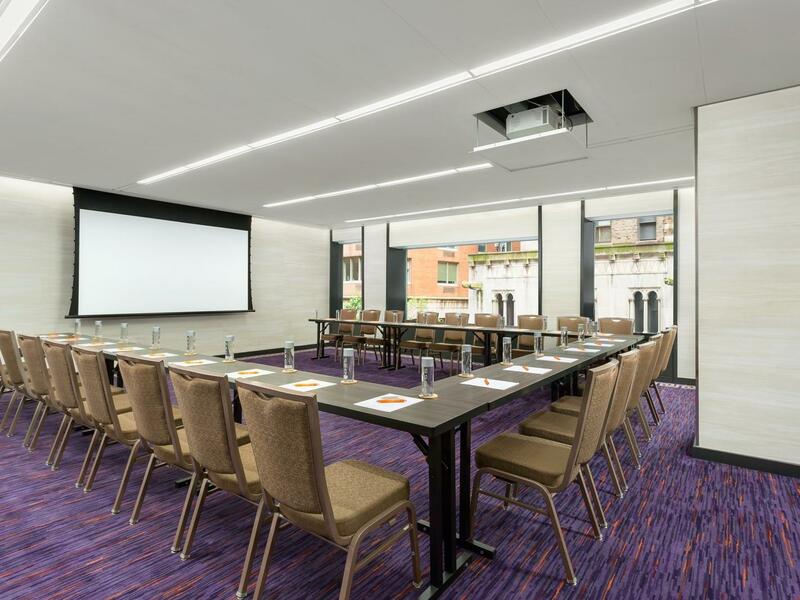 As one of the newest event venues, The Interlude invites colleagues to bring business to life in a chic, contemporary setting. 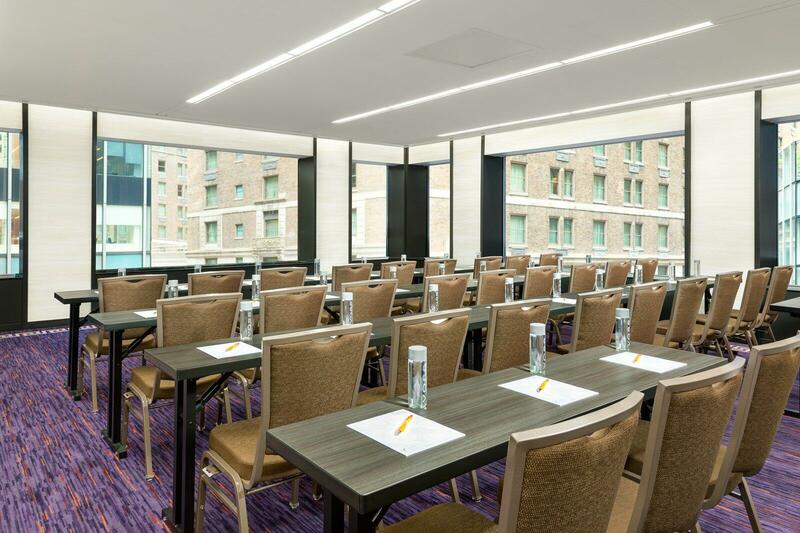 Located on the Mezzanine Level, this modern event venue features 528 square feet of flexible space, perfect for hosting productive meetings and small conferences in Midtown New York. 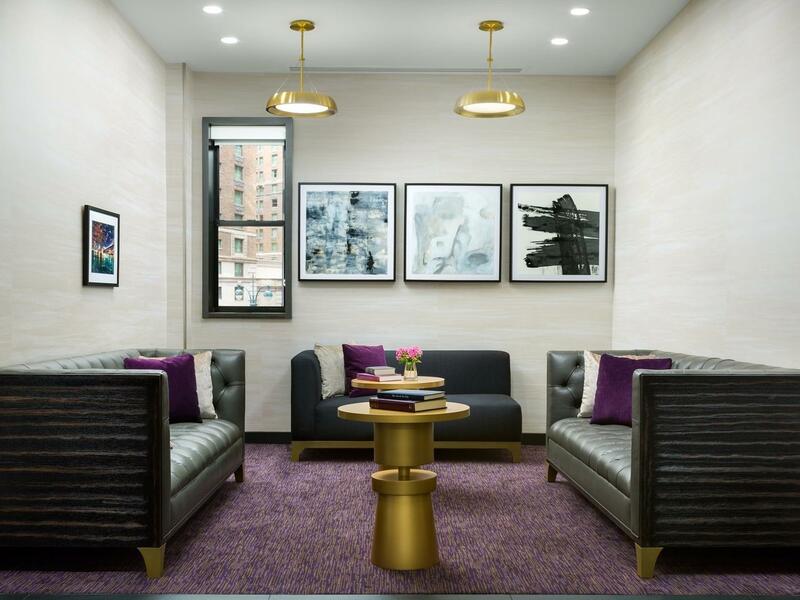 In between sessions, event attendees will love mixing and mingling or catching up on emails in this inviting lounge area complete with stylish tables and chairs, couches and contemporary art work. Located on the Mezzanine Level, the Half-Note and Onyx Boardrooms were designed with intimate meetings, brainstorm sessions and interviews in mind. This is the table block. To edit the table, you can right click on the table in html html editor.